In Lone Echo’s single player story, you’ll be transported to an advanced mining facility within the rings of Saturn, complete with a detailed space station, expansive outer-space environments, and interactive space equipment. Taking on the role of Jack—an advanced artificial intelligence with a state-of-the-art synthetic body—you’ll help Captain Olivia Rhodes solve an increasingly threatening mystery as you use futuristic tools, clever problem solving, and interactive dialogue to engage with the world around you. 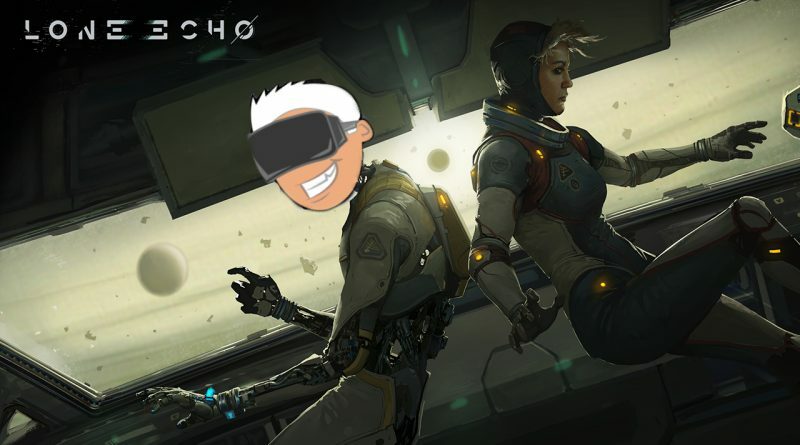 Taking advantage of the Oculus Touch controllers and full 360° gameplay, Lone Echo lets you take a hands-on approach to exploring space unlike anything you’ve ever played before. OK all I can say is WOW…. Lone Echo is amazing! This game has everything that I look for in a single player story driven VR FPS game. The graphics are top notch, the 3D audio is nicely done and the voice acting is high quality! Unfortunately I never got a chance to try the Echo Arena Beta but in some ways I’m glad I waited and experienced this one first. If you own an Oculus Rift I highly recommend giving this a look!